I thought Mother's Day would be the perfect time to talk about my amazing friend Lindsay and her daughter Ella. Ella is an awesome kid. She is smart, funny, talented and loving. Ella loves school, gymnastics, reading and having fun! Ella also lives with Cystic Fibrosis and spends hours each day doing breathing treatments, taking medications & enzymes and wearing a compression vest. She does all this to try to remain healthy and be able to do all the things she loves. Lindsay is an incredible mother (incredible woman & friend as well) who loves Ella with all her heart! 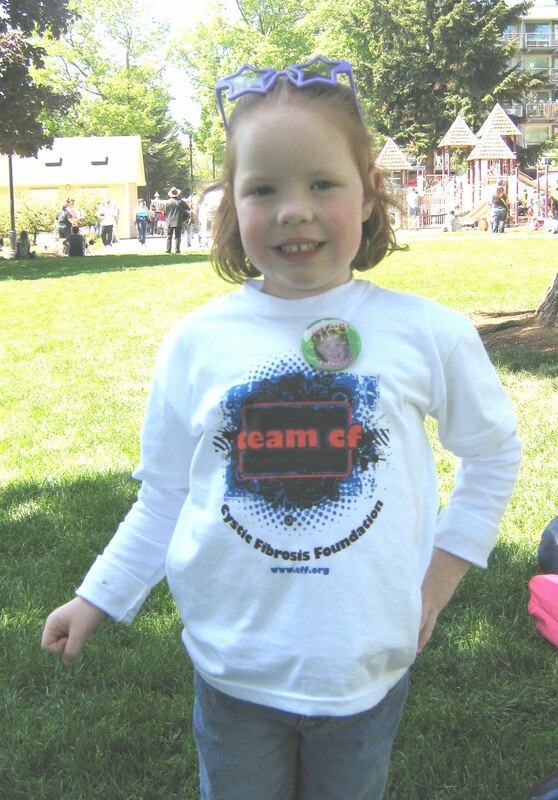 In addition to doing everything she can to help Ella stay as healthy as she can be, she has become a true champion in raising awareness and funds to help fight Cystic Fibrosis. She works tirelessly to do all she can for the CF Foundation so that the paid workers can focus their own efforts towards a cure. She supports her friends with children in the hospital, she plans benefit fundraisers, she is there for Ella at every turn...she is amazing! Seven years ago today, almost to this exact moment, we found out the most awful, heartbreaking, news that would change the course of our lives forever ~ our perfectly healthy, beautiful, normal baby girl was actually living with a chronic, progressive, life-shortening disease. Since then, not a single day has gone by ...when I haven't wondered how long I would actually have her in my life. If you'd like to learn more about Ella & Lindsay, please visit my Cystic Fibrosis Great Strides Walk page. Read more of what Lindsay has to say, watch an incredible video she put together, and PLEASE donate if you can. Any amount helps the research to find a cure! what a great tribute to ella and lindsay! and thank YOU for being a tireless awareness raiser yourself!